Notes: Feb. 1958←Mar. 1958→Apr. 1958 Vol 61, No 1. The artwork for "Second Game" is not credited but it bears the initial 'M' which is commonly found on Martinez artwork. 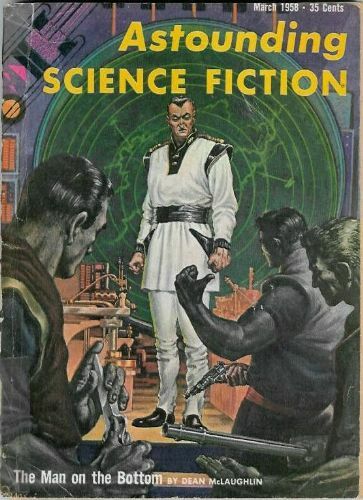 Editor Title: Astounding Science Fiction - 1958 • [Astounding / Analog (1937-1971)] • (1958) • edited by John W. Campbell, Jr.